Theoretical Physics explores the natural world at its most fundamental level, using mathematical theories guided by experimental investigation. For some it is the foundation for an academic career in mathematics or physics. For others it provides the basis for many career options in industry, medicine, law, finance and computing. Trinity provides a course which ranges widely across physics and mathematics. Its graduates are in demand for their technical skills and versatility. Theoretical Physics: The course for you? If you enjoy mathematics and seeing how physical theories can be developed to unlock the secrets of the universe on every scale from the quark to the Big Bang, you will be stimulated by this course. If you want to keep a wide range of options open for the future, you can do this in Theoretical Physics. It consistently attracts a spirited and talented class that makes the most of the Trinity experience. Trinity is a world renowned university for physics and mathematics with a long tradition of excellence in teaching and research. The course offers a unique mixture of pure and applied mathematics and physics courses taught by faculty with international reputations in their research fields. 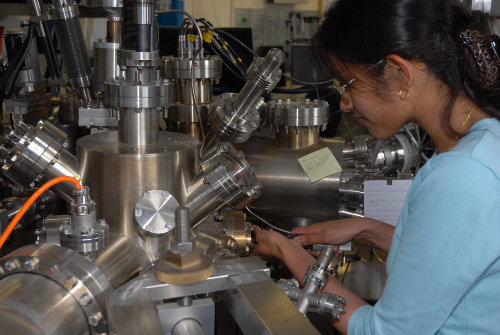 The School of Physics has excellent first, second and third year laboratories for teaching experimental physics. The School of Physics is affiliated with Trinity’s world renowned nanoscience institute (CRANN, the Centre for Research on Adaptive Nanostructures and Nanodevices) and the associated advanced microscopy lab (AML). In the School of Mathematics students will be taught by active researchers working in areas of theoretical physics, such as string theory, quantum field theory and general relativity, as well as pure mathematicians. The School of Mathematics provides its own computing network comprising a dozen Linux machines acting as servers and about 60 workstations for undergraduates and staff. In addition, the school boasts the finest mathematics research library in Ireland, with over sixteen thousand books and a current subscription to over one hundred journals. Assessment for courses is through a mixture of, laboratory reports, presentations and end-of-semester exams. Many of our graduates proceed to PhD degrees in leading institutions throughout the world (such as Cambridge University, Harvard, and Imperial College London) in mathematics and experimental physics as well as theoretical physics. Alternatively, as this degree provides graduates with a strong foundation in highly complex problem-solving skills as well as logical and abstract thinking, a world of possibilities beckons. The broad scientific background and skills that the course develops are in great demand by employers in diverse areas, including actuarial science, patent law, journalism, weather forecasting, telecommunications, medical physics, information technology, scientific computing and teaching. The course combines much of the mathematics and physics curricula, including several modules specifically designed with the Theoretical Physics programme in mind. The final year includes a Capstone project which is carried out working closely with individual faculty members to develop an original piece of research. The teaching of Physics is divided into two modules (each of 10 credits) in each of the first two years and 5 credit lecture and 10 credit practical/project modules in the third and fourth years. Waves and Optics, Special Relativity, Astronomy and Astrophysics, Quantum Physics, Nuclear Physics, Electromagnetic Interactions, Chaos and Complexity and Statistics. Students also take laboratory classes, small group tutorials and group study projects. Other mathematical modules and a project option are available each year. Students undertake a computational physics Capstone project and tutorials to develop problem solving abilities. Theoretical Physics students can spend up to a year, usually the third year, of their studies at a university abroad, either in Europe via Erasmus exchanges or further afield via a considerable number of bilateral agreements between Trinity and universities ranging from the Australian National University to the University of California and New York University in the United States. The Math/Physics Open Day (MPOD) is held in November each year.